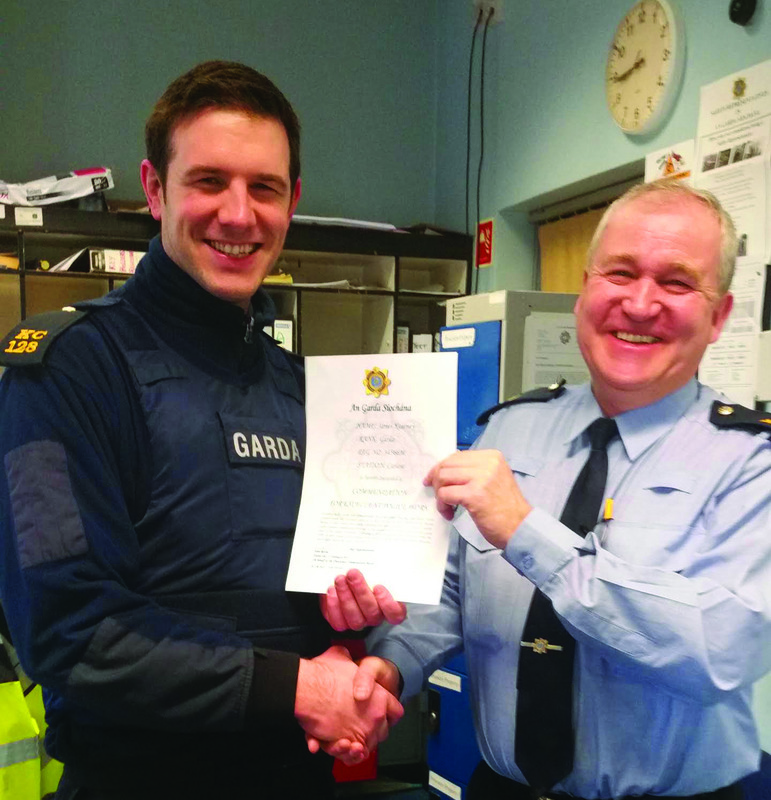 Garda James Kearney received a commendation from Sergeant Patrick Dempsey. 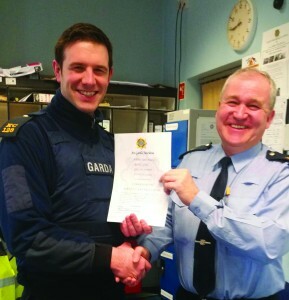 Kearney and Garda Kate Glennon responded to a call of three elderly males being assaulted in Carlow town. Kearney was confronted by a large crowd of youths and after a foot chase arrested one man, while Glennon administrated first aid to the men. Two more men were arrested by Kearney and charged a short time later. The three elderly males all received hospital treatment for their injuries but made swift recoveries.